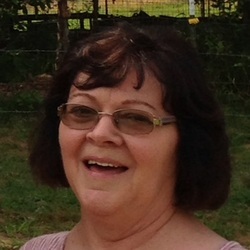 Scroll down to see - Pictures of Beth's Beautiful Arkansas Garden. Growing a family vegetable garden takes some hard work, but when the season puts forth its bounty of fresh tender tasty vegetables, the gardener reaps the rewards. Many gardeners I know have raised gardens year after year. My father was a master gardener and raised a garden for 70 of his 91 years upon this earth, and that is not counting the years he helped in his parents’ garden as a child. His gardens were of various sizes ranging from a small backyard garden to a truck patch. Family, friends, and neighbors all enjoyed the fruits of my father’s labors. My lifelong friend, Beth Garner learned to garden by her mother’s side, and has continued to raise her own vegetables in a backyard garden for many years. Besides enjoying the food grown at its freshest peak of vine ripened flavor, Beth also preserves some of her crop by methods of canning and freezing to be enjoyed during the cold winter months. As the pictures below show, Beth, and her husband Larry, raise a fairly large garden and it is lovely, to say the least. I asked if she would share some of their techniques. She said they used composted decomposed horse manure for fertilizer. This is a great choice for organic gardening and also a good process of natural recycling from their own horse barn lot. I also asked about Critter Control for anyone who has raised a garden knows it is sometimes a competition between you and the deer, rabbits, squirrels, raccoons, birds, and turtles as to who gets to the first garden pics of the season. Beth said some of the methods they used to keep the critters away were: keeping a battery operated radio playing in the garden to scare off the deer and other animals. They also put up an electric fence around the garden. I shared with her that we sometimes cut up pieces of aluminum pans, punched a hole in the pieces and tied strings to them, then, tied them to some of the plant stems along the row of plants. The shiny swinging pieces of aluminum effectively kept some of the bandits at bay. I also asked Beth if they used cages and trellis in their garden. Her answer was “yes” – they placed cages around the tomatoes and ran a wire fence along beside vining plants like cucumbers, squash, and bean so that they could grow vertically. This is a great way to keep the vegetables off the ground and deter insect infestation and rot. As far as combating insects in the garden goes, Beth stated that they usually use a powdered form of insect repellent such as Seven. Then finally, as anyone who has ever gardened knows, there is the weeding of the garden which needs to be done to prevent the weeds from competing with the vegetable plants for soil nutrients and water. In a nutshell, Beth advised me that a successful garden can be obtained by following these few rules: Choose a sunny, well drained site for the garden. Have water accessibility. Have a plan for dealing with critters and bus. Choose a natural based fertilizer. Deal with garden bugs at the earliest onset and use an environmentally friendly insect control method whenever possible. Beth also stated that she loves to garden for many reasons, some of which include: she loves the vine-ripened taste of foods from garden to fork – she loves to plant seeds and watch things grow – and, she loves saving money. Gardening is also very therapeutic in regards to clearing stress and gives the person a good physical workout. I hope you will take a moment to scroll down through the following pictures of Beth Garner’s Garden and enjoy them. Also, at the end of this blog post, recipes (garden to fork) will be listed. Take a look at these photos of the beautiful garden that Beth and her husband, Larry, raised this year. These are just a few of the varieties of vegetables that Beth and Larry grow. Beth loves preserving some of her garden's bounty of vegetables to be enjoyed all year round. Kidz Gone To Potz - Playing In The Dirt Was Never So Much Fun! Gardens are much more than just soil and plants. They are a living classroom, a wise guru, and a fitness class, among many other–and possibly more important–things. What we learn and take away from gardens is transformative as adults, but for children, gardening establishes the way they will think about food, life and nature throughout their lives. While it’s beneficial to get kids out into the garden with you, it’s not always attractive to them, at first. 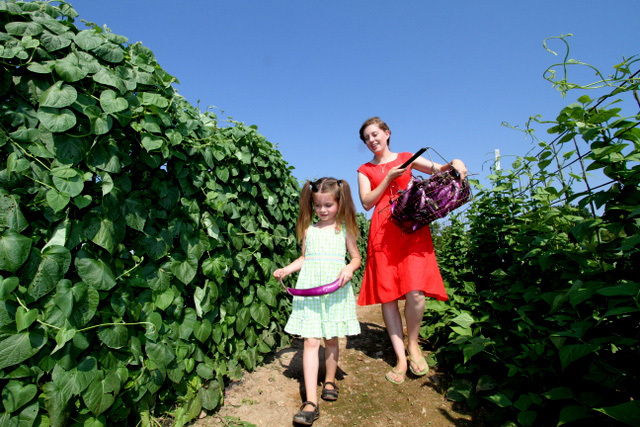 A child asked to help harvest green beans may balk at putting down their iPad or leaving the television. Theresa Loe, of Living Homegrown, says there are several ways to entice children away from their video games and out into the garden and nature with their parents. “Key to getting kids into the garden is to make it whimsical.” She said. Cute signs, meandering paths, archways, reveal to kids the magic that happens in the gardens. “The best thing is a root crop, like a carrot, or a potato. When they are digging vegetables out of the soil, it’s like finding buried treasure,” she said. Consider growing certain things to add whimsy. Plant a pizza garden with garlic and basil and tomatoes, then loop-in the kids into the cooking process at harvest. Plant short rows of corn in a square leaving a little room for a door, so as the corn grows it becomes tall playhouse walls. Another way to draw kids into the garden is to share it with their friends. Have your child and their friends sow seeds together; then follow the process of germination and transplanting and finally harvesting the food from the garden. When the friends visit, follow each step with them. Set up competitions between your child and a friend to see who can pull the most weeds in 5 minutes or who can pick the most berries in a certain time period. Sharing with a friend, your child sees how much they enjoy gardening, as well, and it becomes ‘cool’. The added benefit is teaching other children to garden, as well. This also works with siblings. When gardening along side your children, remember that the lessons of the garden are more important than perfection. Allow your child to choose certain vegetables or fruits to grow, even if you know they aren’t the best varieties. 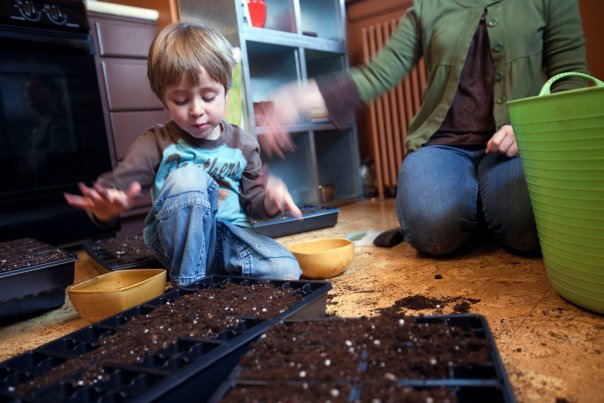 If your child dumps too much seed in a certain spot, or their rows are not perfect, hold off on the criticism to keep it fun. It’s about the learning. If your child mistakes strawberry plants for weeds, know that the runners will fill in those spots in the spring. The lessons of the garden go beyond teaching your children to grow food. While important, the connection with nature sets the stage for a lifetime of concern for the earth. “When they learn how to grow something, nurture it, they are learning to be stewards of the earth. They are learning to appreciate nature,” she said. Of the gardening lessons we learn–like the magic found in watching a tiny seed transform to a huge vibrant plant powered by nothing other than sun, water and organic matter or discovering that soil is not dirty– most important is learning to nurture a living thing, and ultimately, your family, through food. The importance of nurturing is a lesson that goes a long way to growing your child into a grounded happy adult. - - - - - - - - end. On this Blog, I hope to share some helpful information, videos, and photos about Gardening. All forms of gardening will be addressed on this blog, from the window sill to truck patches - none are too small or too large. I'll also be posting some of your great ideas to be shared with others. Also, I want to acquaint my visitors with the gardening book I wrote for Tweens/Teens about how to garden, how to be a good environmental volunteer, and how to cook up those delicious veggies they have grown. 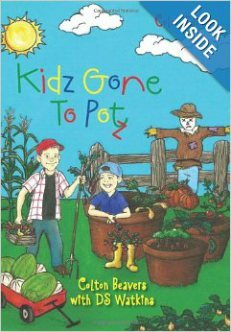 Kidz Gone To Potz is a Whimsical guide to Gardening which entices its readers - to adopt a Fun Summer Project - to get kids involved in an outdoor activity - to acquaint kids with Where Food Comes From - to help kids learn about and participate in Healthy Planet Activities. Every chapter of this book offers opportunities for Great Fun - growing Healthy Vine Ripe Foods - cooking up Garden to Fork Recipes - learning about Educational and Healthy Planet Activities. Kidz Gone to Potz is a Life Skills Book dedicated to teaching children skills that will benefit them throughout their lives .